The Great Barrier Reef Foundation’s plans for a low-cost ‘robo reef protector’ has been given the thumbs up by the public and by Google. The Foundation’s RangerBot project with QUT roboticists Drs Matthew Dunbabin and Feras Dayoub has won a $750,000 people’s choice vote in the Google Impact Challenge Australia, a competition which helps not-for-profit organisations develop technologies that can help to tackle the world’s biggest social challenges. 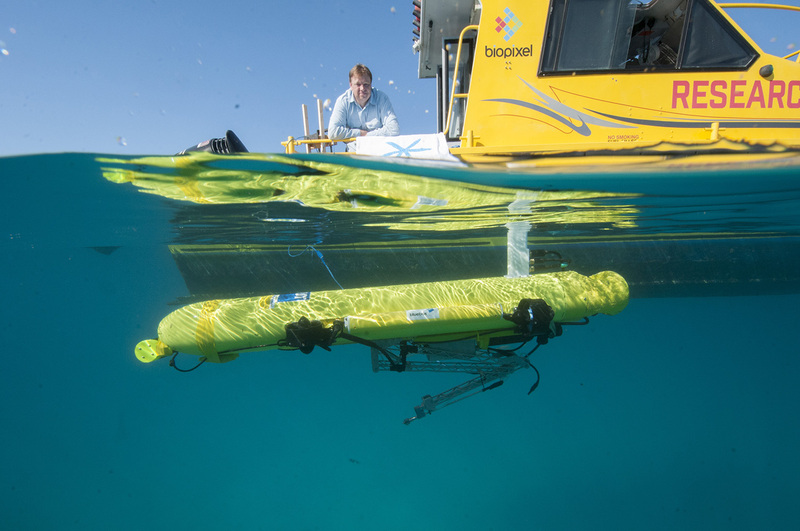 Foundation Managing Director Anna Marsden said the team would build on the researchers’ successful COTSbot platform to create the RangerBot, a low-cost, vision-enabled autonomous underwater vehicle. “More than one billion people depend on reefs for their food and livelihood but often those people live in poorer communities and don’t have access to environmental funding or programs. The $750,000 in funding will be used to shrink QUT’s COTSbot, add a suite of vision-based sensors and develop a range of attachments to tackle various monitoring and management activities. The funding will also allow the team to drive down the cost of building the robot, making it affordable for communities. The Google Impact Challenge prize is a dream come true for Dr Dunbabin, whose passion is environmental robotics. “Thanks so much to everyone who has voted for our project,” Mr Dunbabin said. “It’s a tremendous honour for the public to recognise the importance of our work and the impact it can have on our world and our marine environment. Dr Dunbabin said the RangerBot would be designed to stay underwater almost three times longer than a human diver, gather vastly more data, map expansive underwater areas at scales not previously possible, and operate in all conditions and all times of the day or night. Unlike current single-purpose marine robots – which are manual, expensive and based on acoustic technologies – the RangerBot will be built with innovative vision-based technologies. Google Impact Challenge Australia received around 250,000 public votes, more votes per capita than any other Google Impact Challenge to date. Crown-of-thorns starfish – nailed it!